From the corners of the globe come twelve of the toughest fighters to ever prowl the streets in Street Fighter II': Special Champion Edition. Choose your champion and step into the arena as one of the eight original challengers or as one of the four Grand Masters! Pound your opponent as Balrog and knock them out for the count. Tower over your prey as Sagat and daze them with your awesome Tiger Shot. Slash your opponent with Vega's claw and send them running for cover. 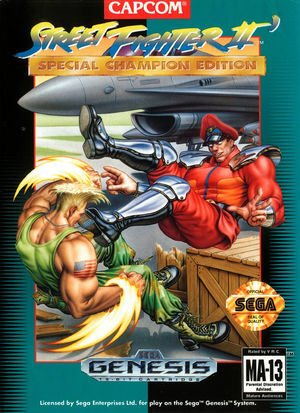 Or strike fear into your enemies as M. Bison, the greatest Grand Master of them all! Dolphin's improperly scales this display resulting in an image squeezed to tightly. Using "Force 16:9" will render this title appropriately. Refer issue 10232. The graph below charts the compatibility with Street Fighter II': Special Champion Edition since Dolphin's 2.0 release, listing revisions only where a compatibility change occurred.